Sharon was and will always be remembered as a beautiful soul with a great purpose. 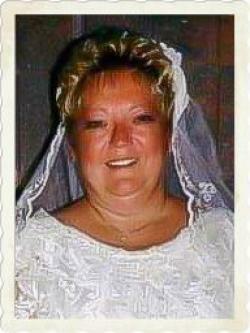 Sharon Ann Mitchell-Fullarton, beloved wife of Darrell R. Fullarton of Noonan, NB, valiantly completed her earthly journey on Saturday, March 30, 2019 at the age of 63. Born in Fredericton on October 7, 1955, she was the daughter of the late Douglas H. and C. Marie (White) Mitchell. Sharon was a 1974 graduate of the Miramichi Valley High School and went on to study Criminology and Sociology at St. Thomas University graduating in 1997. She had a very caring heart and was a true inspiration to those whose lives she touched. Her time working at John Howard Society of Fredericton enabled her to display a very rich part of her life which was sincere compassion and understanding, so needed when working with those in great need. She filled that role with grace and dignity and society was much better for it. Sharon’s giftings were many and was never more evident than when she became a Teacher Assistant at Leo Hayes High School where she endeared herself not only to the student’s she assisted but also to the staff. She left an impact on many young lives as she poured her love into each life. Sharon was a faithful member of Smythe Street Church, Fredericton. Her involvement with Prison Christian Ministries at the church enabled her to be a beautiful reflection of God’s Grace and Mercy. She also became a valued Pen Pal with many who were incarcerated and needed friendship and understanding. Sharon loved her family deeply and her passing has greatly saddened those she held very close to her heart. Darrell, her husband of 30 years and the love of her life, will forever treasure the time they had together. Her face would literally glow at the mention of her two children, Amanda Fullarton and Michael Fullarton (Jennifer) both of Fredericton were her daily dose of sunshine and joy. She also leaves behind a brother Dana Mitchell (Ann) of Estey’s Bridge; nieces and nephews and a host of friends. Aside from her parents, she was predeceased by brothers Charles and Gary and a nephew Jason. The family will gather for a time of visitation at Bishop’s Funeral Home, 540 Woodstock Road, Fredericton on Wednesday evening, April 3, 2019 from 6 PM to 8 PM. A service celebrating Sharon’s life will be held from Smythe Street Church, 913 Smythe St., Fredericton on Thursday, April 4 at 11:00 AM. Rev. Verner Drost will officiate at the service. Interment at a later date. For those who wish to remember Sharon by making a donation to a charity, the family has suggested the NB Lung Association, The Diabetes Association or the Fredericton SPCA.